You’ll be the star with the promotional Jelly Beans Acrylic Stars. Bulk discounts and low prices so shop now. Reward your staff and make them feel like stars with the promotional Jelly Beans Acrylic Stars. Our jelly bean candies come in a variety of flavours, ranging from sugary blueberry bursts to the pleasant pinch of sour green apples. You can choose to fill the stars with a colourful mix of jelly beans, or just one yummy variant. Either way, your team is sure to receive their personal favourites. Since each star can hold up to 50 grams worth of chewy goodness, you can bet that everyone’s sweet tooth gets satisfied. 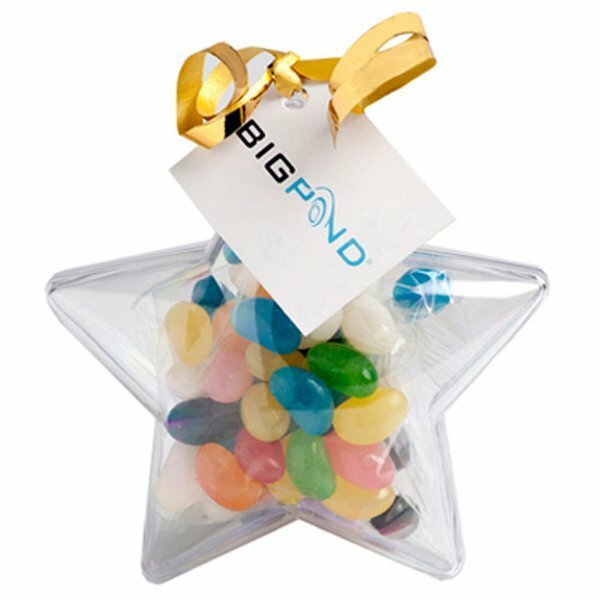 The branded Jelly Beans Acrylic Stars, which are approximately 95 mm in width and 95 mm in height, are not only portable but also quite light, making them the perfect giveaways at conferences or parties. As the stars are also translucent, everyone can immediately see the colourful delights inside. To further personalize the custom Jelly Beans Acrylic Stars, you can opt to accompany them with a sweet note, written on either a full-color tag or a cute sticker. If you’re thinking of gifting guests at your corporate party with these saccharine treats, you can easily place your company name or logo on the tags or stickers. No need to worry about the printing space, as the tags and stickers are large enough for your note or brand to be readily seen. The tag is approximately 45mm in width and 35 mm in height, while the sticker is only 25 mm in diameter. Apart from the personalized Jelly Beans Acrylic Stars, we also have other cool promotional giveaways you can choose from, including our personalised Jelly Bean Acrylic Trees, which is a sure winner at Christmas parties. You may also check out our various confectionery offerings, like the customised Small Lollipops Big Bucket. Our promotional Jelly Beans Acrylic Stars are just what you need for your brand to shine! 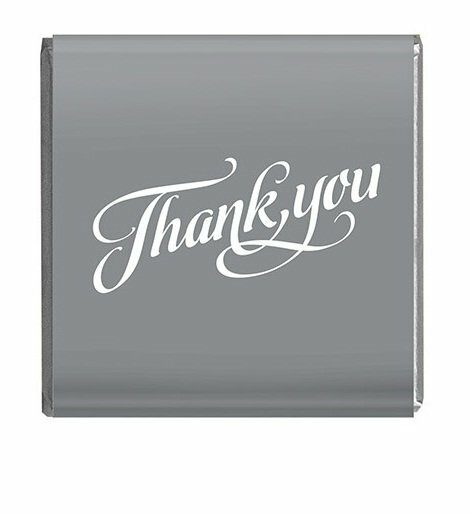 These confectioneries will help you leave a stunning impression on your clients. Need something for the kids? Try our Acrylic Curved Peak Baseball Cap and our other customizable headwear.